Posted on March 18, 2015 by IASUS_CONCEPTS wrote in Press Release. It has 0 Comment. 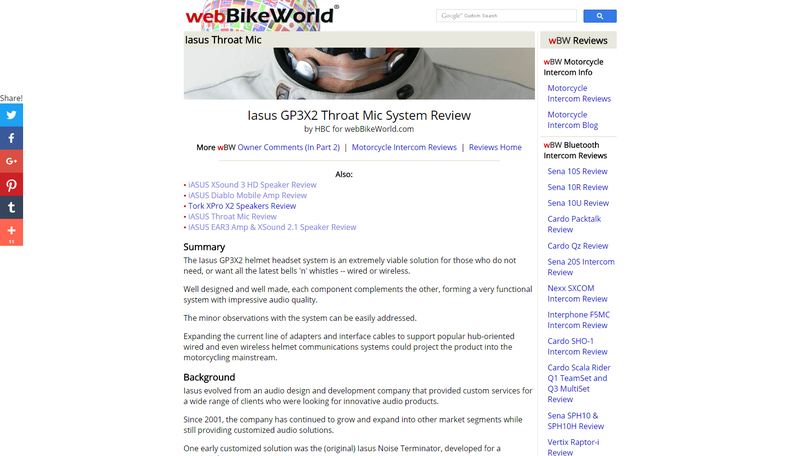 The iASUS GP3X2 helmet headset system is an extremely viable solution for those who do not need, or want all the latest bells ‘n’ whistles — wired or wireless. Well designed and well made, each component complements the other, forming a very functional system with impressive audio quality. The minor observations with the system can be easily addressed.